Configure your custom logon page – and make it seen! 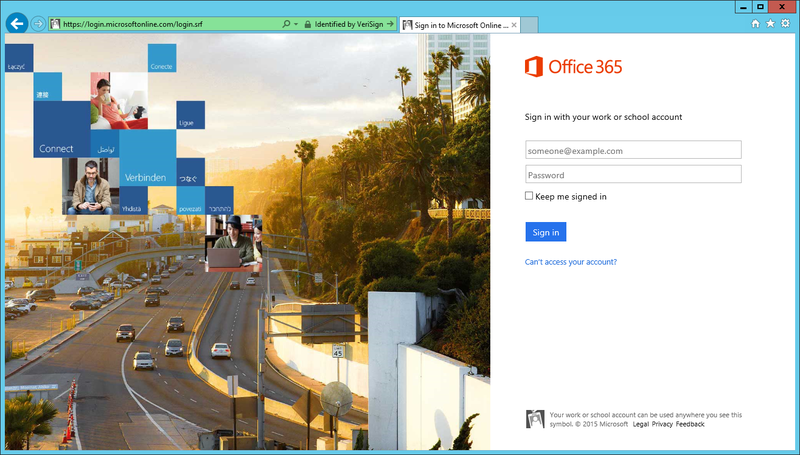 In Office 365, regardless if you are using ADFS or have configured a custom login screen (using Azure AD Free), you will still be presented with the standard Login Screen when for example accessing the Portal (portal.office.com) or SharePoint Online (tenant.sharepoint.com). If using federation for single sign-on, entering the email address is enough to be redirected to your ADFS server. When using Synchronized Identities or Cloud Identities with a customized sign-in screen the process is similar, you will be redirected to your organizations login screen when you type the user name. But what if we want to show our organizations branded login screen or ADFS login before the username is typed? Exchange Online has had this possibility since long, by using the URL https://outlook.com/tenant.onmicrosoft.com, but there is another solution that work for all Office 365 services. wreply=https%3A%2F%2Ftenant%2Esharepoint%2Ecom%2F: The URL to redirect to after a successful logon (URL must be percent-encoded). By replacing the whr and wreply parameters you can build your own links and deploy them in your organization, for example by setting the home page to point to your intranet in SharePoint Online. Regardless the method your organization are using for authentication, the users will now always be presented to the correct login page! 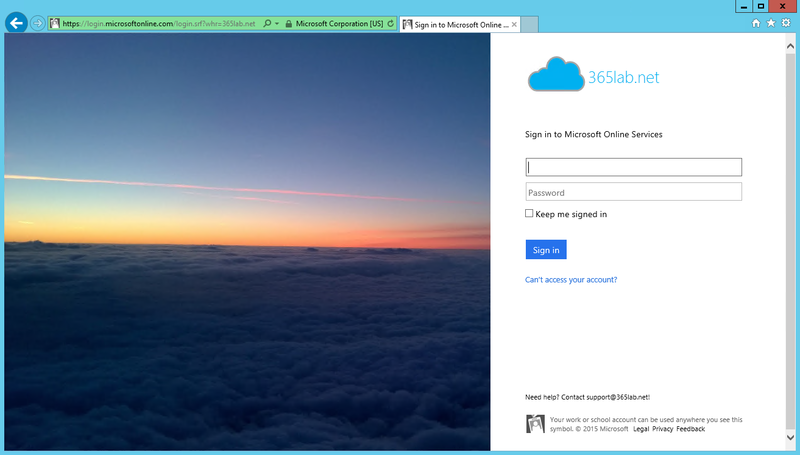 This entry was posted in Azure, Office 365 and tagged ADFS, branding, login, url on April 14, 2015 by Andreas Lindahl. i have been exploring various articles for a long period till today where i found a nearest solution to my issue. Can you please suggest how can we redirect directly to a page in an APP of SharePoint by changing the value of the Wreply parameter. I think the description in the blog post is quite straight forward, what are your difficulties? The encoding can be done in one of many online tools.